Thank you for visiting our website. We are really happy to know you’ve shown your interest in Rio Rancho Painting in Gilbert, Arizona for your interior and exterior painting needs. We understand you and the rest of Gilbert need to find a mix of experience, talent, dedication, timely delivery, courtesy and excellent working relationship in the painting company you want to hire for a painting job. So we stepped up to the challenge and established Rio Rancho Painting in Gilbert. With 10 years of experience painting in the Phoenix valley, we understand just how much the desert climate affects the beauty of your home’s exterior and interior. Our number one goal is to restore the beauty of your home with quality that will last for many years to come. We employ only well-trained, courteous and experienced painters who work in a dynamic team to ensure the preservation and beautification of your home. This team works on both the interior and exterior of your home with high quality materials in the painting and repair of stucco, wood, block, dry wall and many other surfaces. 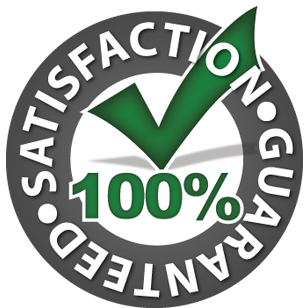 Our quality assurance is 100%! We never sacrifice quality for profit. Because we rely on our excellent reputation to remain in business. So you can rest assured that we used the materials of the highest quality for your unique job. You should only expect Rio Rancho Painting in Gilbert, Arizona to deal professionally with you. We make painting your house a pleasure every step of the way. We only use the highest quality materials that is just right for your job specs. We provide professional exterior and interior painting services in Phoenix, Scottsdale, Tempe, Mesa, Chandler, Avondale and throughout the entire valley. Finally, you don’t need to bother about the prices because we offer competitive prices for exterior and interior painting jobs. Our prices are low compared to the high quality of work we deliver.